Every job search consists of four stages, which altogether may take several weeks to several months. Within each stage, job candidates will face a plethora of challenges and questions. What work experience should I include or omit? Do I need an objective statement? What type of jobs am I qualified for? What if I don’t have the required experience? What if I don’t have the required education? What should I say during an interview? What do I do after an interview? How quickly should I respond to an offer? How do I turn down an offer? There are many free online resources that can provide answers to these questions. Public libraries and your local bookstore also contain books covering these topics. They are not, however, a substitute for the personal consultation with a certified resume writer and career coach. Certified resume writers go through an extensive accreditation process in order to be certified. To have a certified resume writer by your side is a huge asset and will dramatically increase your likelihood of landing a job. Traditionally, there are two methods in which a person can receive coaching and personal assistance from a certified resume writer – either through purchasing a resume writing package or by hiring them on an hourly basis. Both methods can easily cost $200 or more. Resume Companion has developed a unique business model which provides the same level of personalized, 1 on 1 coaching at a fraction of the cost. This is achieved through the use of technology to pool resources and maximize the efficiency in which we are able to serve our clients. We combine that one on one support with Do It Yourself tools that make resume and cover letter writing easy. Our online software possesses over 50,000 resume phrases available at a click of a mouse. 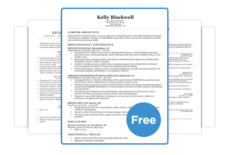 Our resume builder and job search tools, coupled with our unlimited 1 on 1 consultation services, provides an unprecedented opportunity for job seekers to take on their job search with confidence.